Hi! I'm Kai-Cheng Yang (杨凯程), the pronunciation is KY-cheng YAHNG. I also go by Kevin. I'm a second year Ph.D student in Informatics at School of Informatics, Computing and Engineering in Indiana University Bloomington. I mainly work with Filippo Menczer, Yong-Yeol Ahn and Brea L. Perry. Check out the Projects and Publications sections for what I have been working on. Before joining the Ph.D program at IU, I received my bachelor and master degree in theoretical physics from Lanzhou University in China. Feb 26, 2019: Our paper Bot Electioneering Volume: visualizing social bot activity during elections has been accepted by CyberSafety 2019. I will give a short presentation in the workshop hosted at San Francisco this May. Jan 7, 2019: Our paper Arming the public with AI to counter social bots has been accepted by Human Behavior and Emerging Technologies. Nov 20, 2018: Our paper The spread of low-credibility content by social bots has been published in Nature Communications. Yang, K. C., Hui, P. K., & Menczer, F. (2019). Bot Electioneering Volume: visualizing social bot activity during elections. Accepted. Perry, B., Yang, K. C., Kaminski, P., Park, J., Martel, M., Oser, C., Freeman, P., Ahn, Y. Y., & Talbert, J. (2019). Co-prescription network reveals social dynamics of opioid doctor shopping. In submission. Yang, K. C., Varol, O., Davis, C. A., Ferrara, E., Flammini, A., & Menczer, F. (2019). Arming the public with artificial intelligence to counter social bots. Human Behavior and Emerging Technologies. 2019;e115. Shao, C., Ciampaglia, G. L., Varol, O., Yang, K. C., Flammini, A., & Menczer, F. (2018). The spread of low-credibility content by social bots. Nature Communications, 9(1), 4787. Yang, K. C., Wu, Z. X., Holme, P., & Nonaka, E. (2017). Expansion of cooperatively growing populations: Optimal migration rates and habitat network structures. Physical Review E, 95(1), 012306. This project aims to study the spread of misinformation on social media. 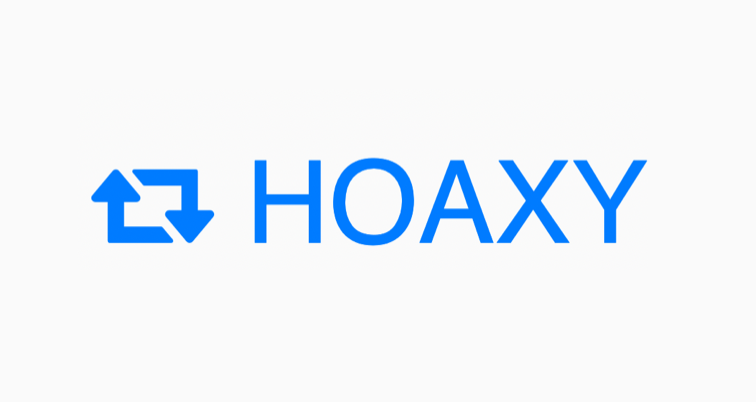 Hoaxy is a tool that visualizes the spread of fake news and related fact checking articles on Twitter. With the incorporation of Botometer, Hoaxy can also visualize the bot-like activities involved in the spread of the articles. Identifying fake news has been a challenging task due the complex nature of the problem. A common approach adopted by researchers is to code the news sources manually and label all articles based on their source. However, to cope with the large amount of emerging fake news sources, a scalable method is needed. This project I construct the co-occurrence network of news sources from social media and find that although noisy this approach provides strong signal to distinguish the fake news sources. Social bots which are algorithm controlled social media accounts that automatically post/share contents and initiate interactions with other users. This project aims to build public available bot detection tool and study the behavior and impact of social bots on various social events. Botometer is a machine learning tool that extracts over 1000 different features from a Twitter account and evaluates its likelihood of being social bot. Currently Botometer is handling over 250,000 requests every day and serves as the foundation for many researches. BEV is a tool that visualizes the activity of likely bots on Twitter around the 2018 US midterm elections. It allows to explore how active bots are on a daily basis in efforts to influence online discourse about the elections. It also shows what topics are being targeted by likely bots. BotometerLite is a light version of Botometer. Using only part of the features from Botometer, BotometerLite is 200x faster but still yields comparable results. Because of the simplified design, it becomes possible to interpret BotometerLite's results. So far, studies of social bots have largely been conducted in computational perspectives. 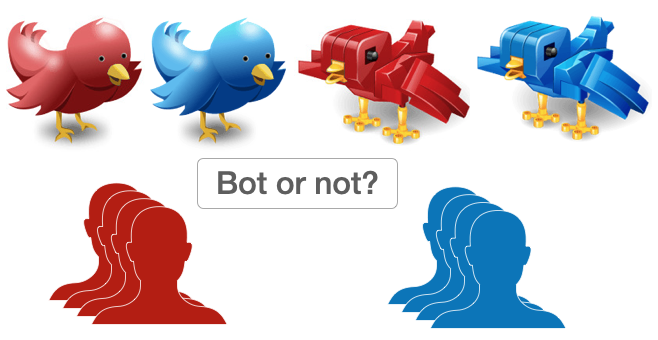 How social media users perceive social bots and a series of related questions remain unclear. In this human subject research project we use experimental design to understand social media users' perception towards social bots. We also characterize the effect of human biases on the efficacy of social bot detection task. Doctor shopping refers to the behavior of visiting multiple physicians to obtain controlled substance. This project aims to characterize the doctor shopping behavior for opioid drugs in response to the severe opioid crisis in US using 11 years’ longitudinal medical records from over 20 million patients. Traditional methods for identifying drug seeking behavior focus on each patient's medical history individually. Typical criteria involves the number of different prescriber, visits of different pharmacies and total drug dose in certain time period. Our analysis shows such type of methods has become less useful as the patients are intentionally altering their behaviors to avoid being spotted by those methods. This project tends to utilize social network analysis to identify drug seeking behavior which has proven to be very effective and harder to trick. Doctor shoppers are people that visit multiple physicians to obtain multiple prescriptions of controlled substances. The opioid doctor shoppers have been found to be more likely to overdose leading to the ever severer opioid crisis in US. 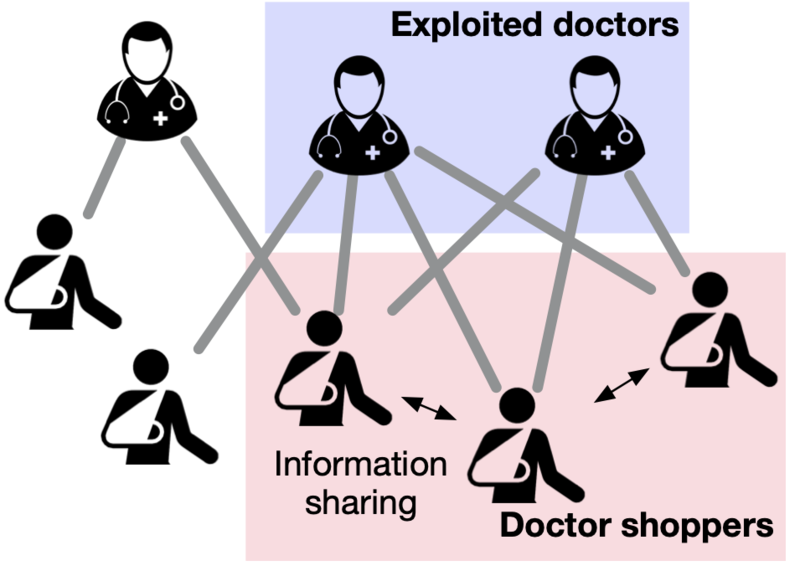 The project intends to apply computational methods to over 9 years of longitudinal medical records from a large group of patients to characterize the geographic related behaviors of doctor shoppers. Word2vec is applied to large scale of medical records to find a distributed representation of the diagnoses. The embedding can effectively reduce the dimensions needed to encode all the diagnoses therefore serves as a preprocessing step for other machine learning tasks. Besides, the embedding itself can reveal interesting relationship between diagnoses. Multipartite viruses have multiple segmented genomes that are packaged in separate virus particles. This peculiar genetic organization makes multipartite viruses the most strange viruses and has drawn great attention from academia recently. Yet, a solid understanding of why such seemingly disadvantageous strategy has emerged is still lacking. This project extends the SIR model with multipartite mechanism and studies the spread of multipartite viruses on networks. Analysis reveals the sudden outbreak nature of multipartite viruses and finds that counterintuitively multipartite viruses favor static networks over dynamical networks. The results may may explain the prevalence of multipartite viruses in plants. 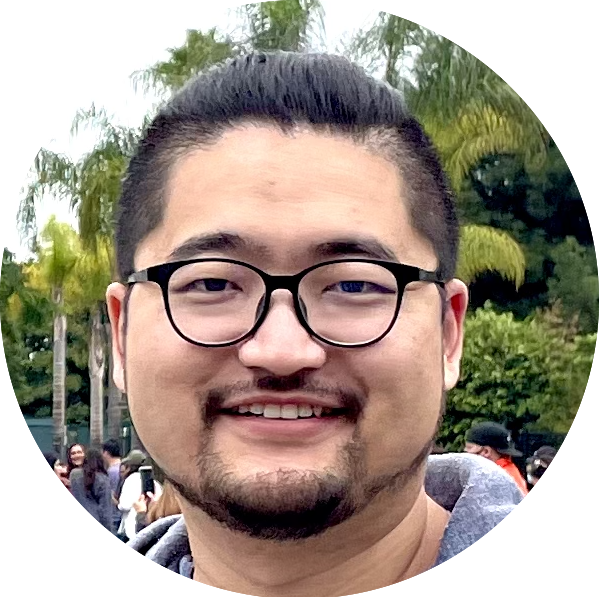 Site created by Kai-Cheng Yang. Powered by Bootstrap, Vue.js, Vue ScrollTo, Hoever.css, Font Awesome and Academicons.